Some very exciting news for all you students out there..The Co-Operative Food are now offering NUS card holders 10% off. This is super handy to know, especially as my uni has a mini Co-Op in the student union, which means my dinner will be a bargain from now on. The Co-Op asked me to create a kitchen hack as part of #Coopfoodhacks, to celebrate cheap food for students. I was very kindly sent a mini-hamper of chocolate and marshmallows to help me on my way. 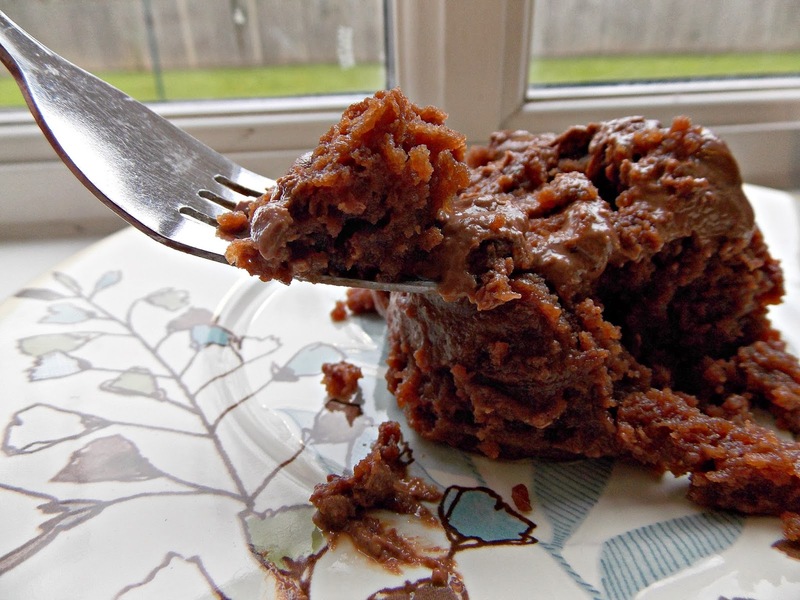 I made a super easy microwave gluten-free chocolate mug cake. Mix it all together and pop in the microwave for 1-1/12 minutes and voila! I also melted another half a bar of chocolate to make a yummy chocolate topping, this was sooo good but VERY sickly.